At first, this meme just seems like a funny observation. But this online joke actually carries with it a great deal of insight into the irrationality of human behavior. And since ecommerce is all about dealing with humans, this is insight you can use to your advantage. Don’t believe me? Let’s test you—no calculators! Would you prefer a free pair of socks when you buy two, or 34% off when you buy three? Admit it, you want the free socks, don’t you? Fractions and percentages require our brains to process something logically, which many people don’t enjoy doing while shopping. On the other hand, the response to getting something “free” is largely emotional, and highly preferable to the discount. Give us a calculator, and we’ll just hurl it at the discount and take the free socks. We are also mesmerized by double discounts. Give us 20% off, and then an additional 25% off, and we’ll be far happier than a single discount of 40% off (They’re the same. No, really!). So what does this mean for online retailers? 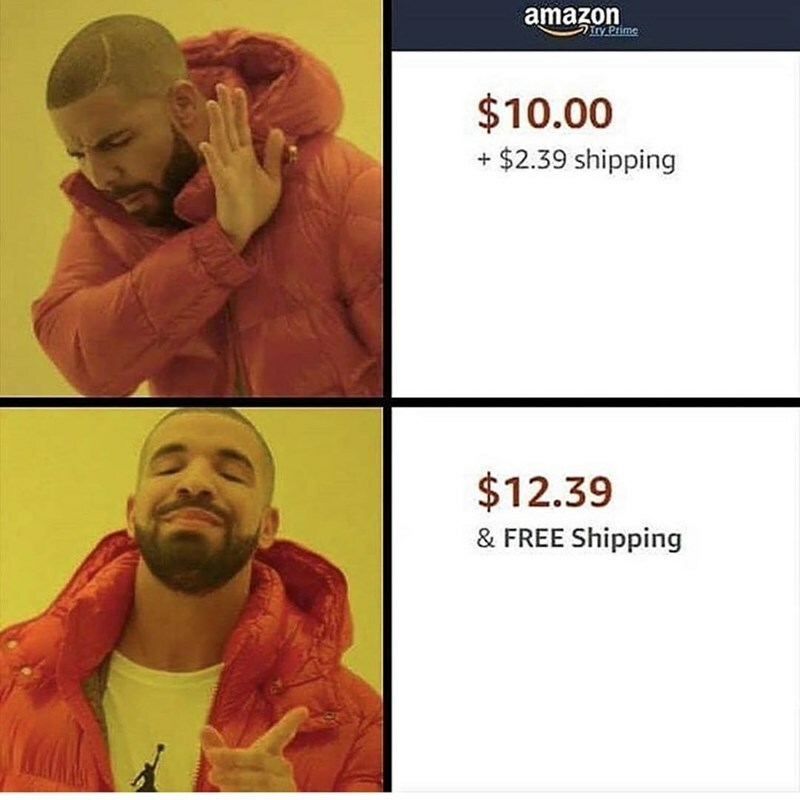 First, it suggests you should make Drake happy by making Free Shipping a key part of your incentive strategy. But on a deeper level, it means look at your pricing to find ways of enhancing your perceived value. In all aspects of your product benefits, emphasize quantity over discount. Your widgets last twice as long, rather than costing half as much per use. Would you like to know more about our techniques and strategies? Contact one of our Conversion Experts today. 1Haipeng (Allan) Chen, Howard Marmorstein, Michael Tsiros, Akshay R. Rao (2012) When More Is Less: The Impact of Base Value Neglect on Consumer Preferences for Bonus Packs over Price Discounts. Journal of Marketing: July 2012, Vol. 76, No. 4, pp. 64-77.